“THE SIMPSONS” RETURNING TO DVD TOMORROW! 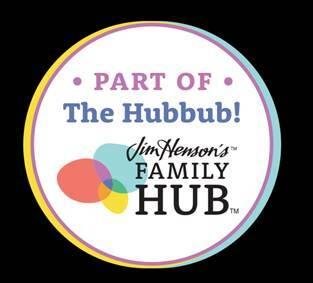 Twentieth Century Fox Home Entertainment proudly presents the return of America’s favorite animated family on DVD when “THE SIMPSONS” – SEASON 18 arrives on December 5. 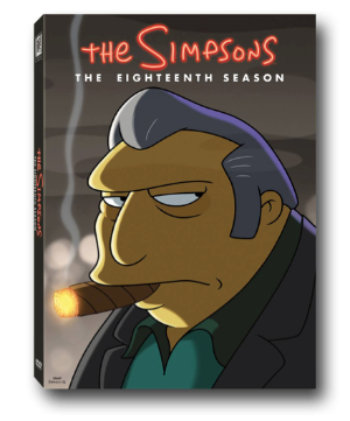 Featuring Springfield’s lovable legitimate businessman, this long-awaited season features commentary on each of the 22 episodes and never-before-seen deleted scenes along with the bonus episode “22 For 30” from Season 28 that includes a memorable scene with Fat Tony. THE SIMPSONS is a Gracie Films Production in association with 20th Century Fox Television. James L. Brooks, Matt Groening and Al Jean are the executive producers. The Gracie Films Worldwide Brand develops and produces the licensed content for the series. Visit THE SIMPSONS website at simpsonsworld.com. “Like” the series on Facebook at facebook.com/TheSimpsons. Follow Homer Simpson @HomerJSimpson on twitter, join the conversation using #thesimpsons and follow The Simpsons on Instagram @TheSimpsonsFox.